If you could communicate to customers through a t-shirt, what would you say? Ballantine’s took brand engagement to the next level with ‘tshirtOS’. The odds are that you haven’t seen anything quite like tshirtOS. Comfortable like a t-shirt, yet dynamic like any inventive gadget, the ‘digital’ t-shirt is the latest example of wearable tech to hit the market. The unlikely brain child of Scotch whisky brand Ballantine’s, tshirtOS is a programmable, internet-connected t-shirt that aims to provide consumers with “a canvas for digital creativity”. 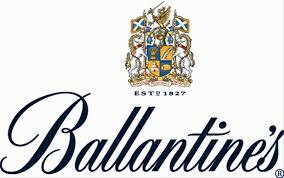 The concept, which gives new meaning to the phrase ‘wearing your heart on your sleeve,’ is the result of an attempt by Ballantine’s to ‘upgrade the t-shirt for the digital age,’ (while appealing to its young, male demographic of course). In a nutshell, the tshirtOS is an illuminated blank canvas (embedded with 876 LED lights), that uses in-built LED technology to display the wearer’s thoughts and feelings. The t-shirt connects to the internet using a built-in operating system that is controlled by a mobile app. 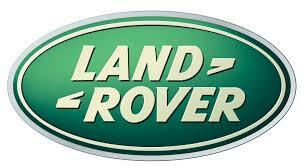 At the touch of a button, users can communicate with the world in real-time, via digital text, animations or images. They can also connect the t- shirt to their social networks, play music via iTunes and take pictures using a small, integrated digital camera. The idea was dreamed up by Ballantine’s to reinforce their brand values of authenticity and personal expression, and in considering how to drive that message home, they partnered up with CuteCircuit – a fashion brand that create tech garments, to bring the tshirtOS to life. A prototype was revealed in August 2012, along with a product film, which explained the concept and encouraged people to register their interest on Ballantine’s global Facebook page. With the brand’s recent announcement that the tshirtOS is now being trialled in stores across the world, wearable tech has once again hit the marketing headlines. What does tshirtOS mean for marketers? Serious brand engagement for starters. Also, some experts have predicted that the programmable t-shirt may pose genuine competition for smart phones – as it can display tweets, take live pictures and post them to your Instagram feed in a much more immediate way. While this scenario is unlikely, due to the ever increasing popularity of smartphones, the possibilities for wearable garment technology are endless, from eye-catching product sampling campaigns, to digitally integrated live brand experiences.